Whether your household move takes you across an international border, across continents or to cities that you've never been to before, moving with pets always adds another level of planning. So, to help ease your concerns, use these guides to ensure your pets arrive at your new home without too much stress. Moving pets can be trying, but here's a story of how one brave couple managed to move their entire family across three countries crossing two international borders with two old dogs and an ancient cat in the backseat of their station wagon. If you're moving to another country with your pet, you're going to have to transport them across an international border. Learn about the process of crossing the border between Canada and the US, which will also be helpful if you're flying your pets overseas to another country where quarantine might be necessary. While some pets are excited by trips in the car, most pets associate it with vet visits or transfers to a boarding kennel. 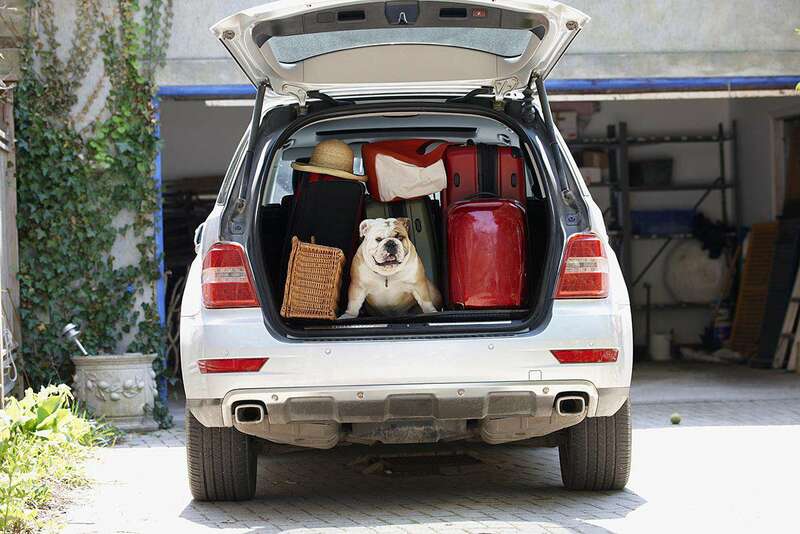 Even if your pet does like to travel, moving long-distance, over a few days is much harder than you've anticipated. Moving is always a challenge, particularly for cats; unlike dogs, cats bond with their environment and have a harder time adapting to a new home. We have five cats who all hate moving, but they don't really have any say in the matter. Our next move will see us driving at least two of our cats through the mountains, while the other three fly. When moving your pets to another state or across an international border requires a lot of preparation and documentation. Find out what you need to do to get your pets to your new home. While moving is very stressful for the two-legged members of your family, pets find it even more difficult to adjust to new surroundings after a move, especially cats. Here are tips to help your kitty feel at home quickly. While it may be true that most dogs generally cope better than the average cat when settling in, they still require special care and handling. This is especially true if you're moving from a home to an apartment or from a large house to a smaller home. Room to move around and exercise can be critical to a dog's contentment and help them get to know their new neighborhood. Finding a new vet is always a challenge. We've moved a lot over the years and have always taken our pets with us. And since we're both animal lovers and with a background in shelter and rescue work, we tend to adopt the pets that no one else wants. Most of our animals have major health problems running from FIV, to acute renal failure, to a spinal cord injury that doesn't allow our Himalayan to express his own bladder. It gets a little crazy, but we love them all and would never think of leaving them behind.